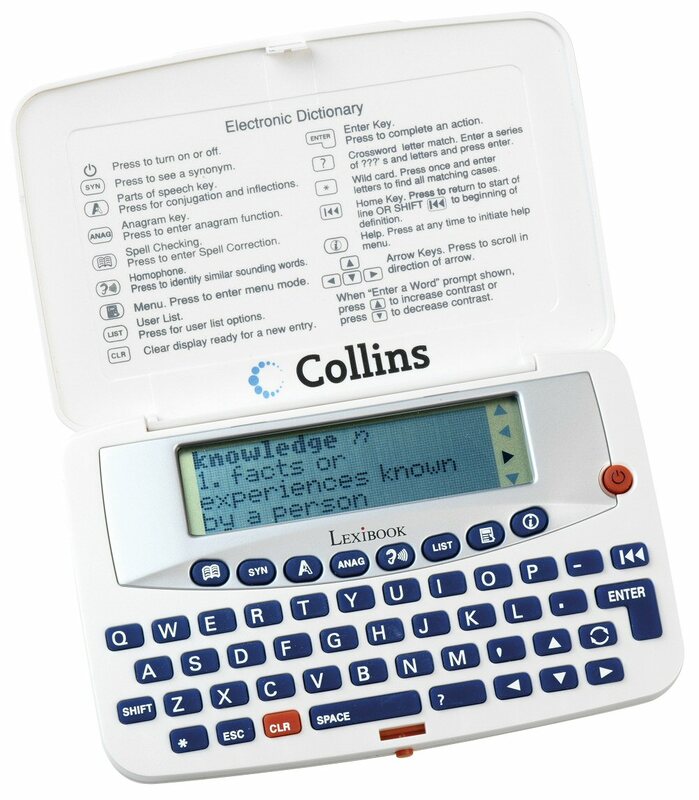 Our DL601 Electronic Dictionary from Lexibook is a remarkable product, providing not only Dictionary, Thesaurus and spell-checking functions, but also a crossword-solving aid. 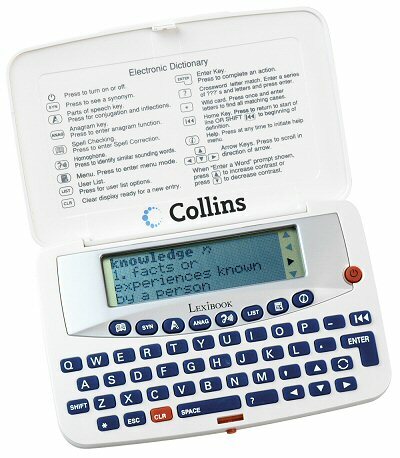 Armed with the powerful Collins©database of over 90,000 words, this handy pocket-sized device really makes the most of electronic dictionary technologies. The spell-checking function on this dictionary is particularly powerful. Overall, this is a very good product, scoring highly for simplicity (switch on and go), effectiveness, and very reasonable price.